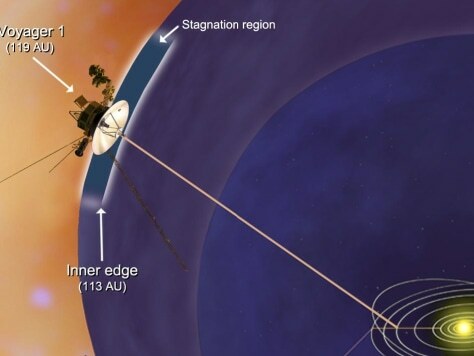 NASA's Voyager 1 spacecraft has entered a new region between our solar system and interstellar space, which scientists are calling the stagnation region. This image shows that the inner edge of the stagnation region is about 10.5 billion miles (16.9 billion kilometers) from the sun. The distance to the outer edge is unknown.